The lads at LetsGoDigital are it again. It’s being noticing interesting Samsung patents (this is the same Dutch website that uncovered the smart shoes patents a while back). 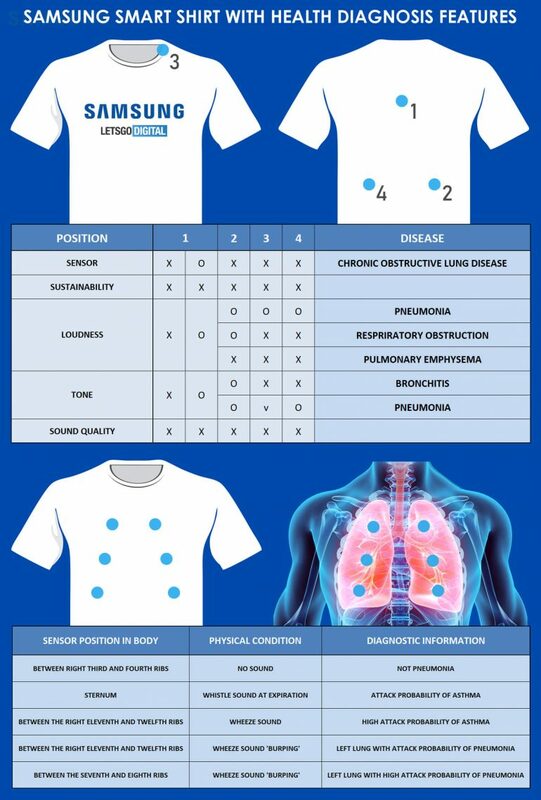 This time it’s a smart shirt that’s equipped with different sensors that can detect lung sounds of a user, in order to track (and potentially spot) respiratory problems such as pneumonia, bronchitis, asthma or COPD.